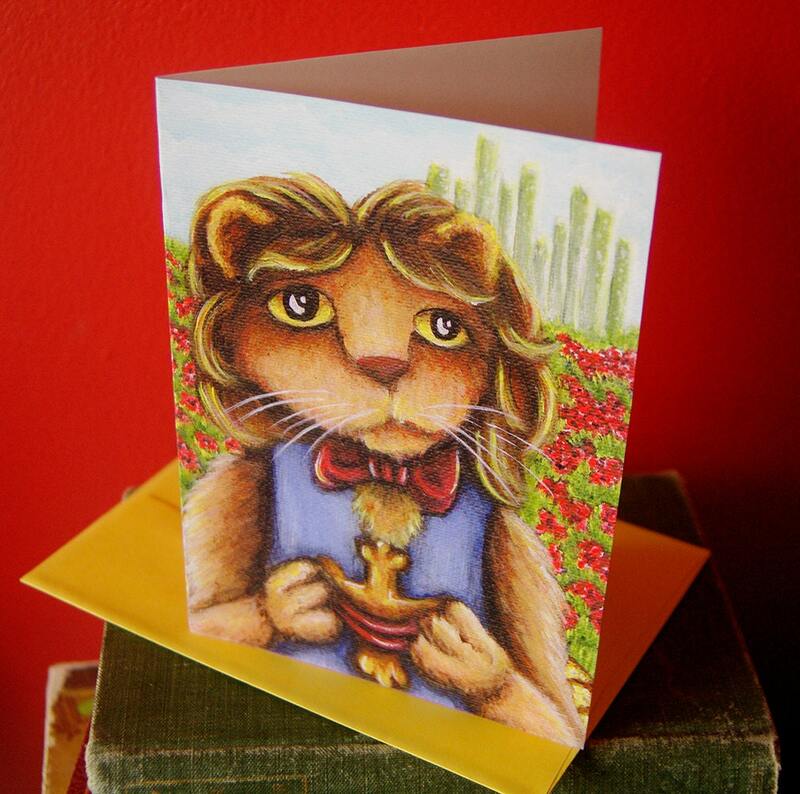 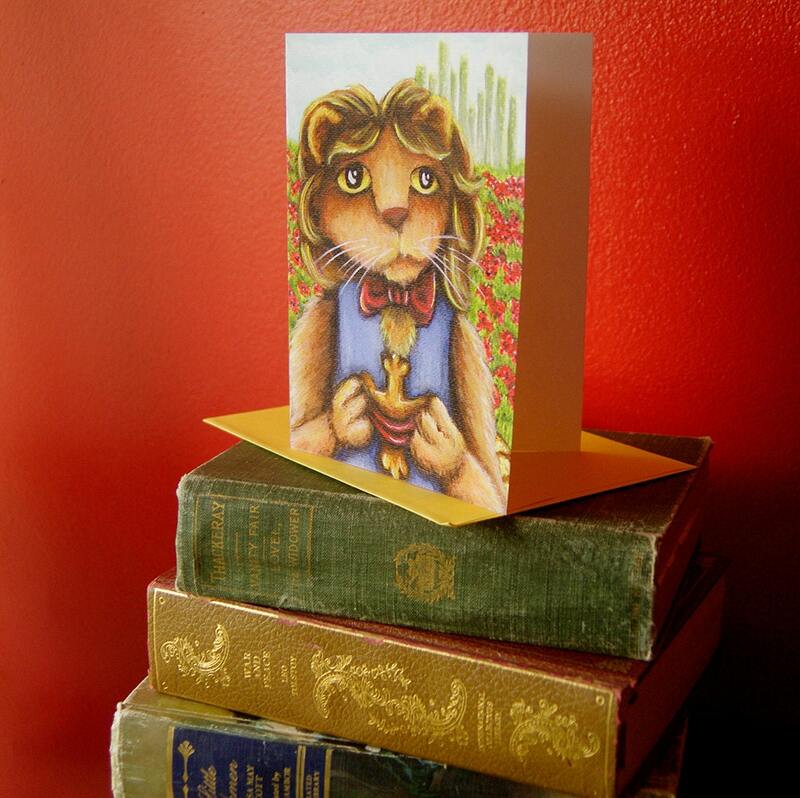 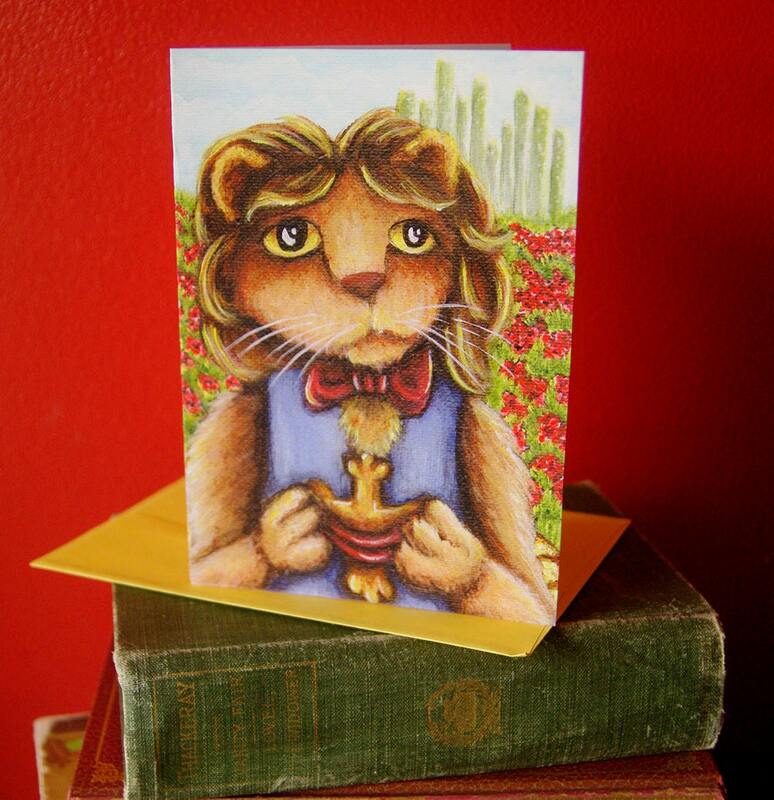 This adorable greeting card, from my painting of The Cowardly Lion, is purr-fect for fans of the Wizard of Oz and cat lovers alike! 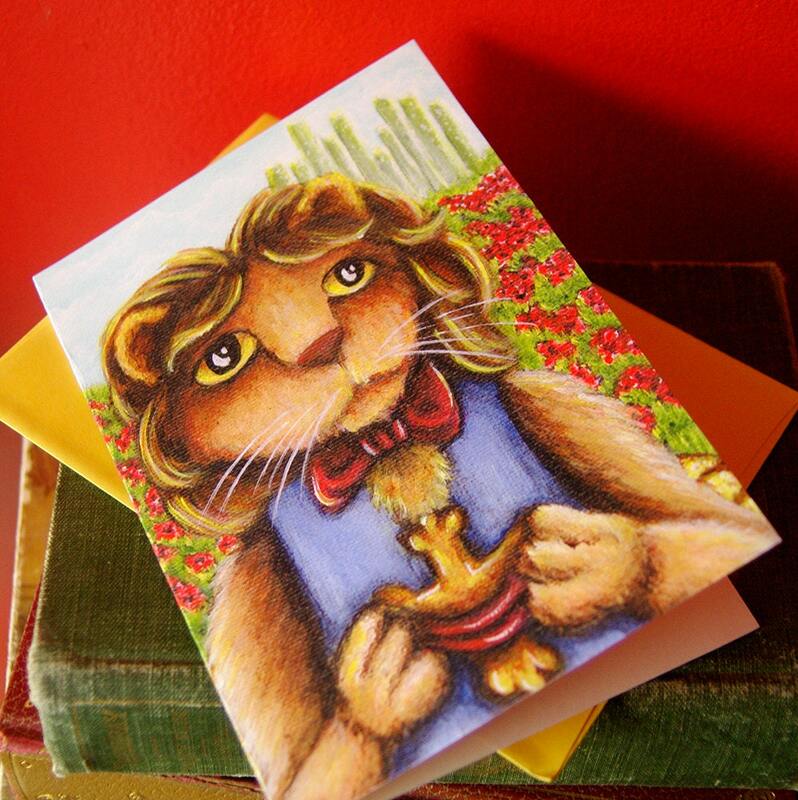 • can be matted and framed as a print! 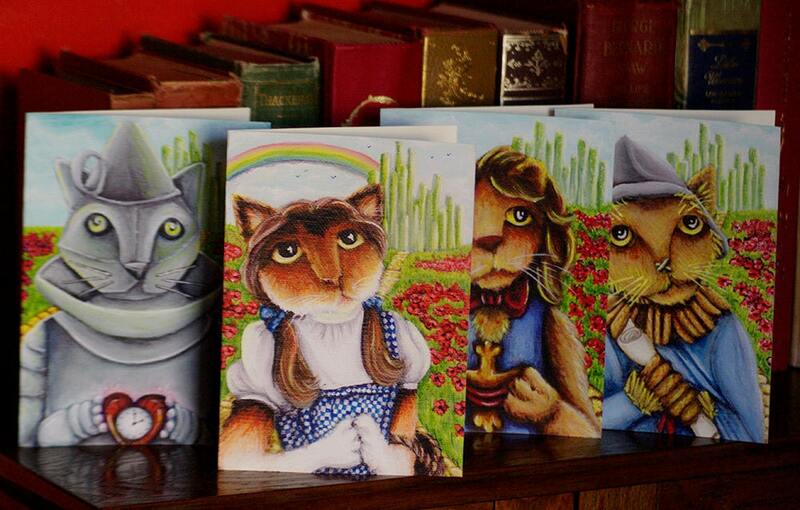 Find more from my Cats of Oz Collection here!